Reports completed & sent to you on the same day as the inspection. Free Thermal Imaging & Termitrac Radar, to assist in finding live white ants. These are set out so they are easy for our clients to follow, with photo’s to assist you in each defect found. Our Reports are very clear to follow and are complete with photo’s to explain the area’s of building terminology that most clients do not under stand . It is important to us that you can comprehend any problems with your proposed home . 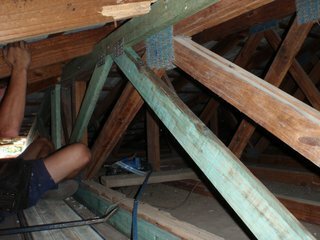 Caboolture Building and Pest Inspections will complete your detailed “Building Inspection” and we organise Qualified Pest Inspectors to complete your Pest Inspection for you on the same day . Both Inspectors are on the job at the same time which allows you to talk to both of us while you attend . Plus we can point out any issues found on the day or call you at night if not attending . The ” Building Reports” are completed by Jeff Roberts who has a gold licience in building , and the “Pest Reports” are completed by Caboolture Building and Pest inspections qualified pest inspectors . We only use the best inspectors to do a full and complete inspection of your proposed property . Thermal Imaging camera’s are used if they find any termite activity with in your new property . All Pest inspectors are fully licenced with their own insurances. Over 33 years of experience as a registered builder – Jeff Roberts. Caboolture, Morayfield , Burpengary, Redcliffe, Mt Mee, Woodford , Kilcoy , Samford, Dayboro, Ningi , Bribie Island ,Brighton , Narangba ,Kallangur , Glass house Mountains , Sunshine coast & North side of Brisbane CBD. If required we can supply a Pre Sale Building Inspection for $300.00 incl gst. / in the local area. Please note this is a ” Building Inspection” only & does not include the Pest Inspection , This way you can have your home checked prior to selling . From the very first point of contact with Jeff Roberts, you’ll be in safe hands. Jeff takes his job very seriously and his priority if to have happy and satisfied customers. With over 33 years experience, let Jeff perform your “Building Inspection” and organise your pest inspection ,so you know that no stone has been left unturned. He is the sole operator of Caboolture Building and Pest Inspections. If you are planning to buy a new property/building, you must be very cautious. You must verify that the quality of the structure is top notch and ensure your getting the best value for your money. The location, state of architectural details, modern conveniences, wall and floor coverage, and several other factors are great determinants when making a decision to purchase a particular property. To ensure the property your interested in purchasing is up to standard, you should hire the services of a reputable and reliable building inspector, and this is what we are offering you at Caboolture Building and Pest Inspections. It is crucial to note that rogue property developers might be selling out sub-standard properties, and not many buyers would be in a position to detect these flaws and deficiencies in such cases. The building inspection is a service designed to assist a property buyer to detect significant flaws in the crucial systems and components of the property of interest. We are experienced property inspectors, and we can tell the exact condition and the quality of any building. We offer an extensive range of service in this field to ensure that we have covered the whole scope of property inspection. The quality of service is what we are guaranteeing you. Frist, we will do a thorough exterior front inspection and record any flaw that could be on the structure. It is more of a visual inspection and will take into account the state of the exterior wall and the roof quality. The presence of the flower beds, driveways, walkway and the slope of the lot area are also a factor to consider. Once we have fully exhausted the exterior inspection, we will then scrutinize the interior condition of the building. The quality of the floor, the ceiling and the plastered walls is one of the first things anyone would come into contact with once they enter the building. Their quality is not negotiable. We will also do a thorough inspection of all equipment and accessories fitted in the building. This includes the plumbing visual systems, heating systems and the structural components of your home. Pest inspection is also factored in this package. We organise a Qualified Pest Inspector to complete your Pest Inspection for you .Pests like termites can cause havoc in any building especially if it’s a timber one. They are known for their ability to bring down a whole building down with time. 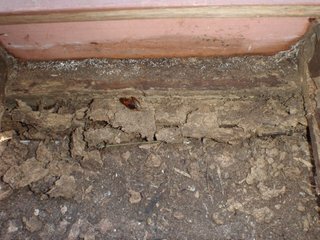 We do offer termite inspection and provide you with authentic defects and damage reports on it. Our inspection services include photo taking especially for the problematic areas. By this, we can deliver complete reports with photos of all the flaws in the building for the clients to have a clear picture of the state of the building. We are professionals building and pest inspections in this field and quality of service is what we guarantee all our clients. Jeff is very straight forward and easy to deal with. He is efficient and speaks in plain english and his reports are easy to read. A real old school genuine tradie! Very knowledgeable and informative. Will be using Jeff for future inspections. As per the existing reviews we had Jeff do our Building and Pest Inspection. He was very through pointing out building faults we would never of found. Yes we fully recommend Jeff . Jeff was meticulous in his inspection and provided a great, clearly written, detailed report within the same day on a post-war property my partner and I were purchasing. He showed us through the property and really made sure we understood everything he was looking at. Cannot recommend Jeff's services enough to anyone wanting a really thorough inspection done! Jeff you are most certainly a top bloke! Thank you so much for our experience with you and being such a dedicated inspector. Jeff is very professional and I wouldn't think it gets much better than his service, I highly recommend him. Jeff saved us from a costly mistake! Glad we choose him for our property inspector!